The Mississippi Department of Agriculture & Commerce maintains this website. We are committed to protecting our visitors’ privacy, and recognize the need for appropriate protection and management of any personal information. This policy may be updated periodically. Except for records protected by law from disclosure, most information received in the course of doing state business is a matter of public record and is subject to public inspection. The majority of the Department’s web pages are accessible without providing any personal information. We may track the Internet address of the domains from which people visit us, the link from which people link to our site, where they exit from, and how they flow through the site. The Department may analyze this data for trends, site composition and organization, and statistics. The Mississippi Department of Agriculture & Commerce website may contain links to other websites outside of the Department’s. The Department is not responsible for the privacy practices or the content of these websites. 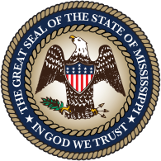 If you have any questions or comments about the Mississippi Department of Agriculture & Commerce privacy statement, please send an email to WebMaster@mdac.ms.gov .